Last week we started work, beginning with the bottom. 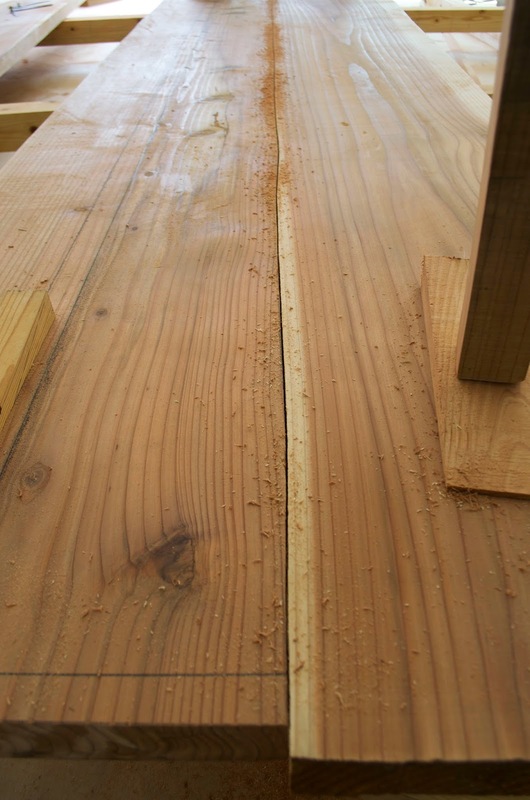 This is made up of three planks and the first step was to fit the seams. We used a technique called suriawase, running a series of saws through the joint to make the fit tight. Its a painstaking process and I let my volunteers do most of the work. It took us more than two days. They all told me at the outset of this project they had no experience with woodworking tools whatsoever. Two planks braced overhead while we saw the seam. 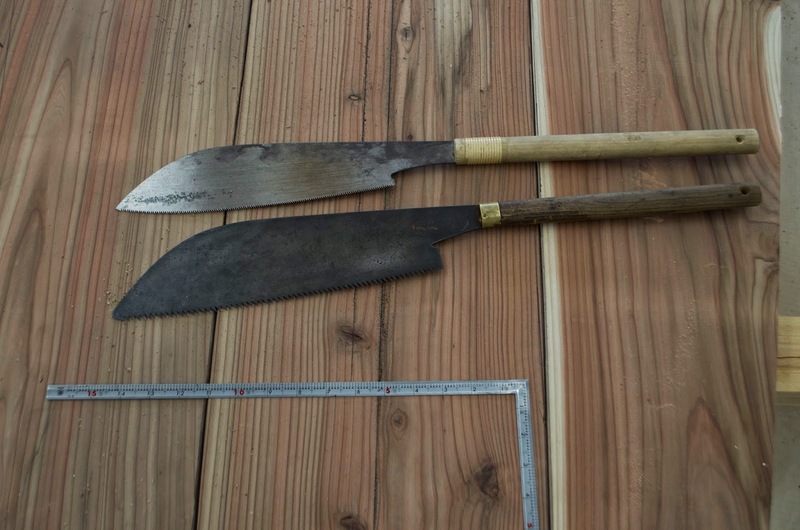 Our two boatbuilders saws, one for rough work and one for final finish. If you look carefully you can see the seam is wavy. Thats' not really a problem but it is a function of my volunteers' inexperience. No matter, its worth having them try this technique. The next step was chiseling the mortises for our edge-nails. 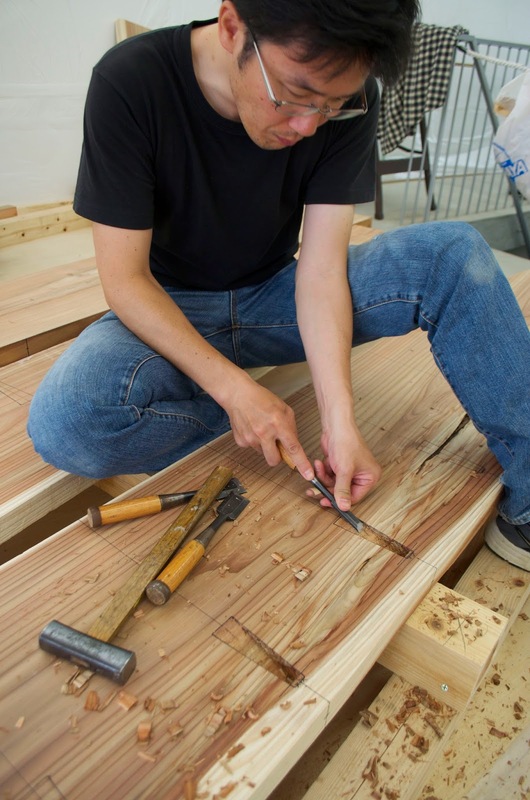 The mortises are half the depth of the plank thickness. 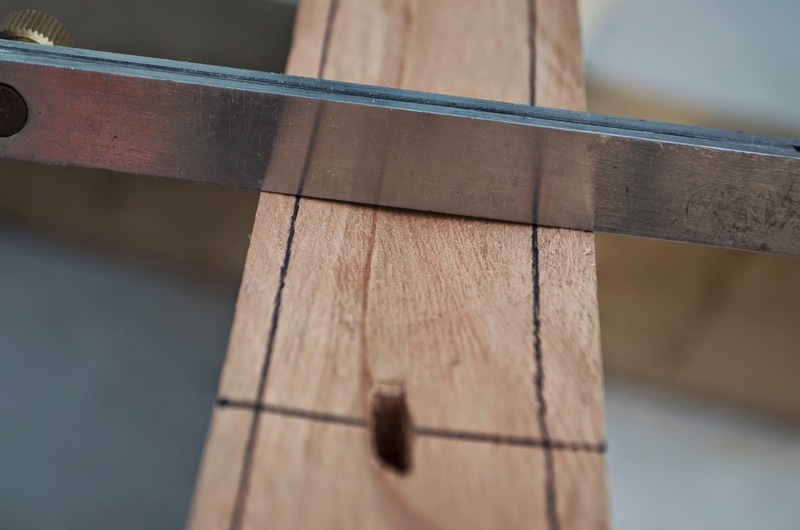 Then we use a special chisel to pilot a hole back from the edge to the mortise. This was really taking time so I grabbed a drill and tried to remove some of the waste. Driving the chisel back into the mortise. 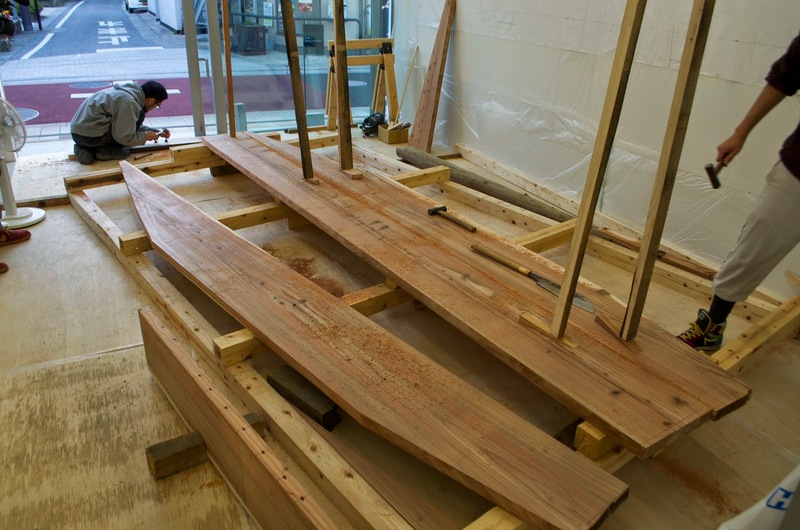 The next step is called kigoroshi which literally means "killing the wood." 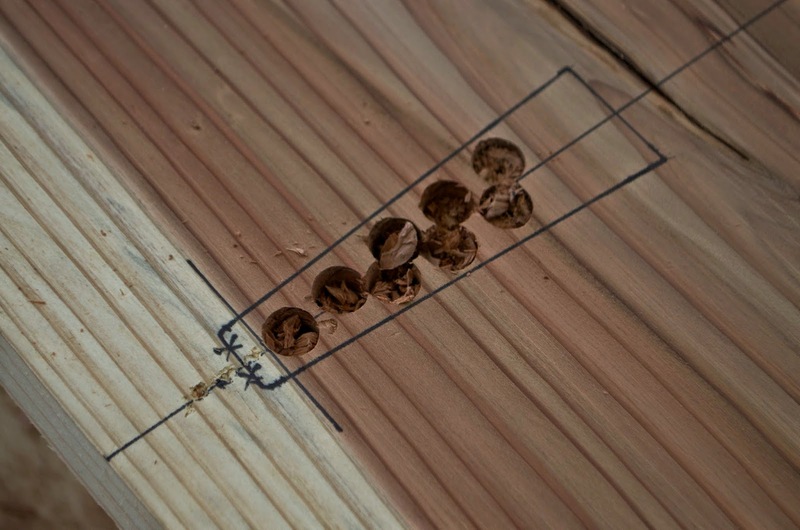 We pounded the edges with a round-faced hammer, carefully avoiding the corners. The idea here is to both compress the fibers and weaken the corners. 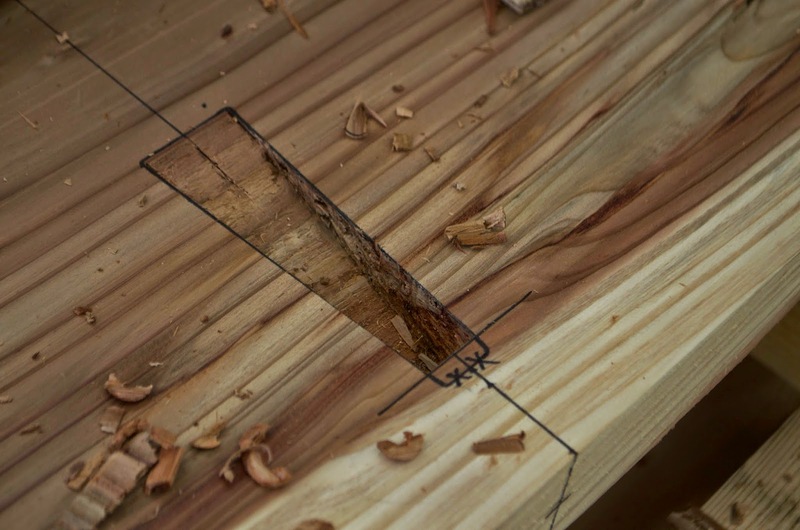 When we clamp the planks together we can squeeze them tighter because they are bearing against each other on less material (the corners). 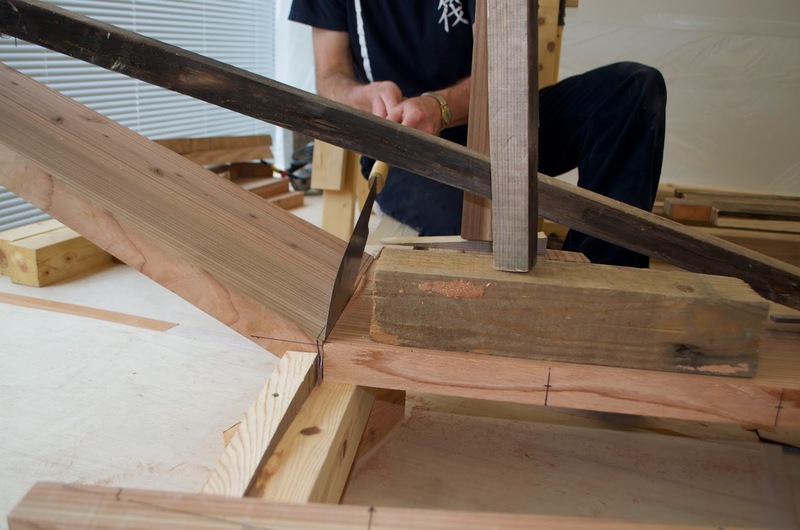 Once assembled the wood we pounded will bounce back, creating a tight seam. One of my volunteers pounding the seam on our transom. 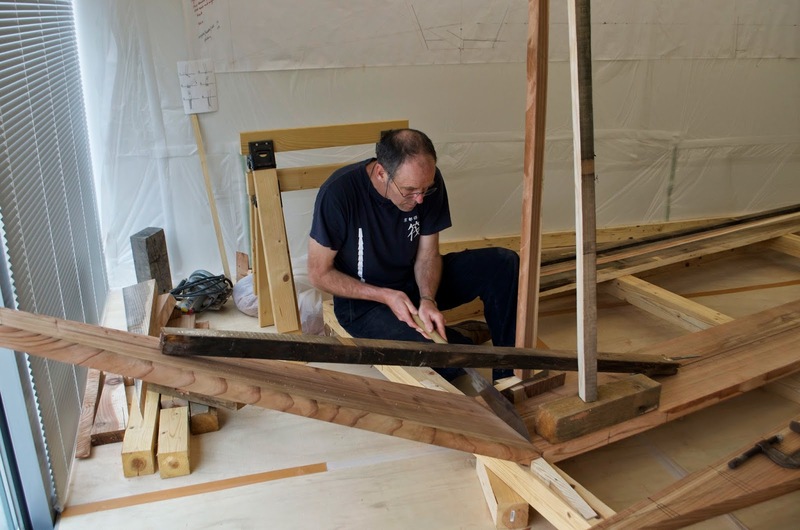 Our boat has a tapered, pram-like bow, and here I am fitting the seam with our finish saw. 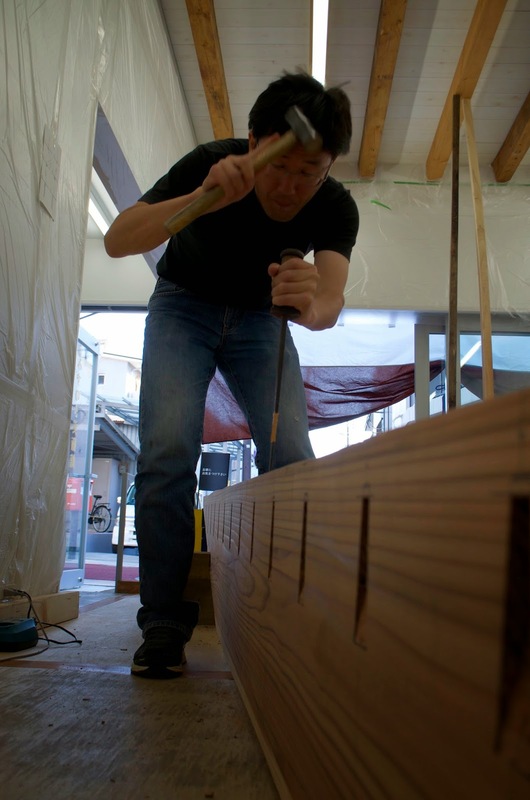 If you are especially interested in Japanese boatbuilding techniques, look back at my blog from last summer, where you can read a detailed series of postings on the construction of a traditional boat in Takamatsu in the Setouchi Festivale. 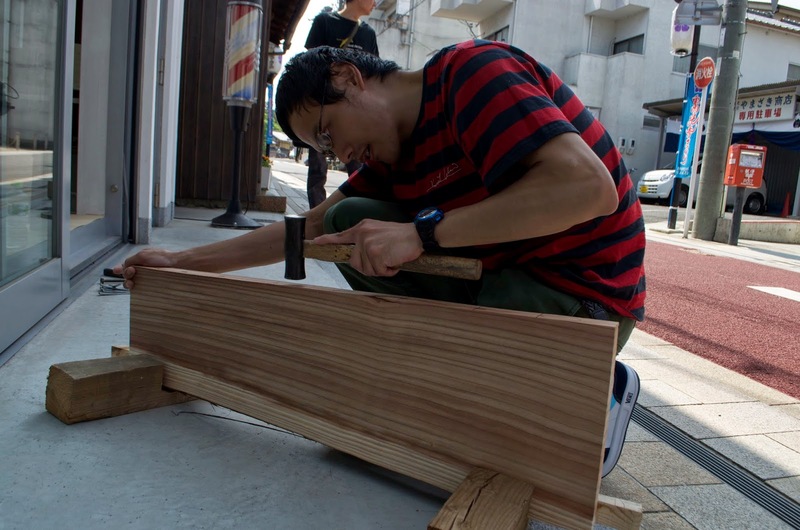 Up next: my two-day trip to Himi City to see their boat festival and meet one of the last boatbuilders of the region.